Today's "Theme" over at BlogPaws is "Climb the Highest Mountain", a tribute to the late Vinnie the Pug, whose owner is a longtime BlogPaws participant and conference speaker, Allen Kimble. Meanwhile, back at the ranch...here's a picture of me climbing, well, uh, stairs?! 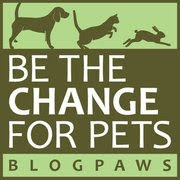 So how about joining the BlogPaws Wordless Wednesday Hop while you're here? It's guaranteed fun! 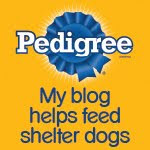 We'll have to check out BlogPaws tribute to Vinnie the Pug! Have a happy Wednesday Bocci! Oh Bocci, you're so sweet! Will you mom be at BlogPaws? I hope she'll get to meet young Rocco! Those look like some pretty steep stairs, Bocci. Be careful! Looking very superior like on those stairs! Cutie!